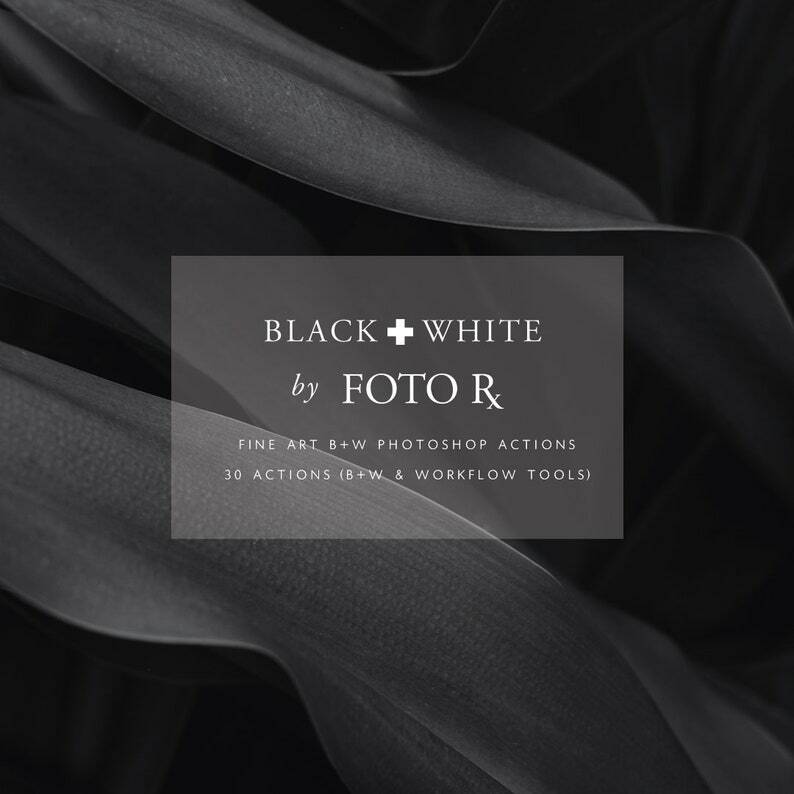 Our Foto Rx Black + White Fine Art Photoshop actions set includes a full range of black + white transformations - from Classic B+W to Modern B+W to specialty effects from film days (like high key, low key, and luscious grain). If you are wanting to create beautiful, rich, printable B+W images this is the set for you! 37 page PDF which has descriptions + samples of the actions in umm, action! *NOTE: Basic Photoshop knowledge is recommended, we have links to essential Photoshop tasks that will make it much easier for you if your basic PS knowledge needs a little boost. Photo results may vary depending on the quality of your original image. COMPATIBILITY: PHOTOSHOP CC. Yes, you must have the full version of Photoshop installed on your computer, with your language set to English. This is NOT an app, nor is it compatible with Photoshop Elements, or Lightroom. This means, no sharing the files, or selling them in any form. Derivative works are also prohibited. VIOLATORS OF THIS AGREEMENT WILL BE PROSECUTED TO THE FULL EXTENT OF THE LAW. Love this action, very versatile. I have used it a lot! I had some trouble downloading but they were eager to help. They were prompt with my questions and got the program going. Since I'm new to Photoshop they offered to have me send them one of my pictures that they could fix and then tell me what they did. Now that's service above and beyond. I just sent the picture and I'm eager to see what they do with it. 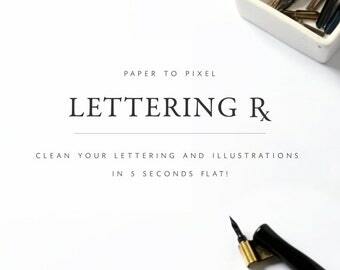 This action has saved me a ton of time, and the instructions are great! I can't wait to go back and clean up all my lettering! Beautiful presets and very user friendly even if you have no previous Lightroom experience.